One of the most prominent figures in the history of physics and the specific area of relativity is Hendrik Lorentz. He was one of the early physicists who laid the groundwork for the area of relativity. In fact, his early research helped to lead Albert Einstein to the creation of the Theories of General and Special Relativity. 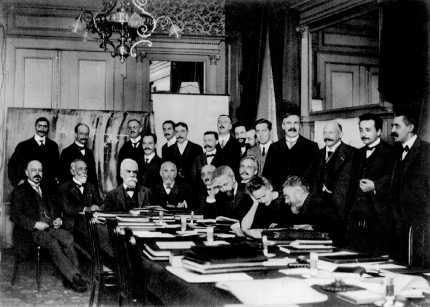 When the first Solvay Conference was held in Brussels, Belgium, Lorentz was the chairman for the prestigious event. Lorentz was well respected by his colleagues and he was highly praised by them. Lorentz was given many awards for his work on the properties of light and relativity. He continued to work on physics until the end of his life. 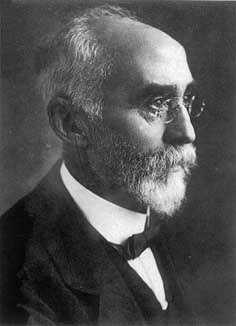 Hendrik Lorentz died on February 4, 1928 in Haarlem, Holland. Lorentz suspected that vibrations of the charge in an atom caused the waves of light. This assumption was well before J.J. Thompson proved the existence of the electron. His mathematical theories helped to revolutionize the study of light. Simultaneously, Lorentz conceived the concept of length contraction when an object such as a particle traveled at extremely high speeds. This theory is entitled the Lorentz-Fitzgerald contraction. To create this theory, Lorentz utilized the laws of motion of Newton, the electromagnetic equations of Maxwell, and the transformation provided by Galileo. The theory basically indicates that as an object accelerates and approaches the speed of light, its length will appear to contract or shorten. In addition, its mass will increase and time dilation of the object will occur. The factor by which the length of the body is shortened is the square root of (1-(v^2/c^2)) where v is the object's velocity and c is the speed of light. This can be visualized by having one person moving at a speed nearly equal to the speed of light and the other remaining still. Both will hold identical light clocks (the most accurate type of clock) for observation. With regards to the stationary person, he will observe the moving person as being thinner due to length contraction. In addition, he will observe the moving person's light clock moving slower than his own due to the dilation of time as an object approaches the speed of light. Meanwhile, the moving person will observe the same characteristics in the stationary person. This is due to the fact that according to the moving person's reference point, the roles are reversed and he is not moving (though he actually is). This revelation helped to aid the work of Albert Einstein and his formulation of the Theories of Relativity. Hendrik Lorentz was indeed a very wise physicist. His theories and postulates helped to lead later prominent physicists to discoveries of equal importance to the modern understanding of physics and relativity. The great Albert Einstein once said about Lorentz: "I have admired and loved Lorentz perhaps more than anyone else I have ever known".